All in with Ace_King on the A-J-x flop, @LonMcEachern is needing help against the Ace_Jack of Grand Opening Celebrity Bounty week golf outing accurate drive champ Greg Kelly. Some of the help arrives with a Queen on the turn but it is not enough and Kelly eliminates McEachern. 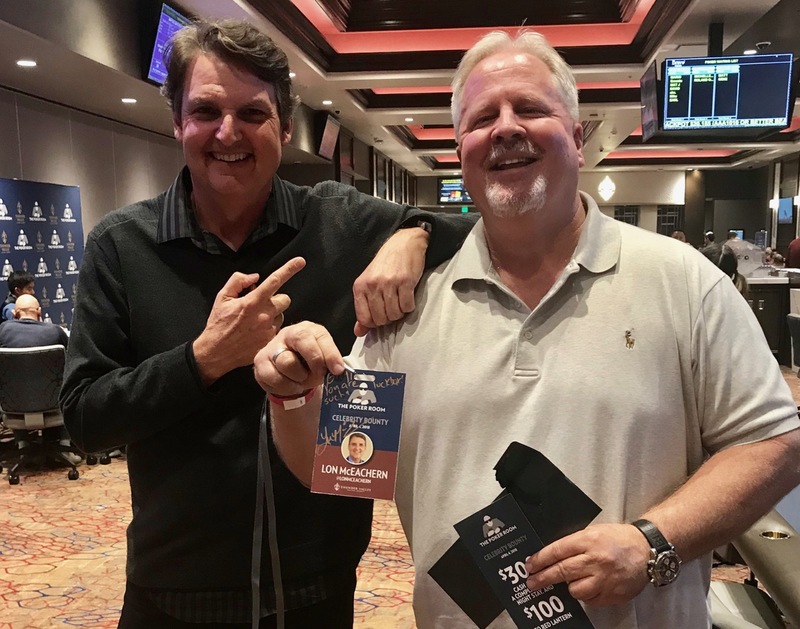 Kelly receives $300, a one-night stay at Thunder Valley and $100 to Red Lantern as his bounty prize.